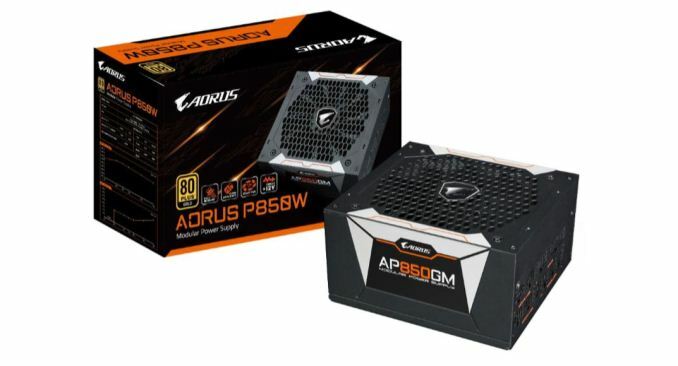 GIGABYTE has announced a new line of power supplies under the Aorus premium branding unveiling the new P850W and P750W to the market. The two power supplies carry an 80 Plus Gold designation, a single +12V rail, fully modular cables, as well as a 135mm temperature-controlled 'smart' fan to keep the internals cool and noise to a minimum. 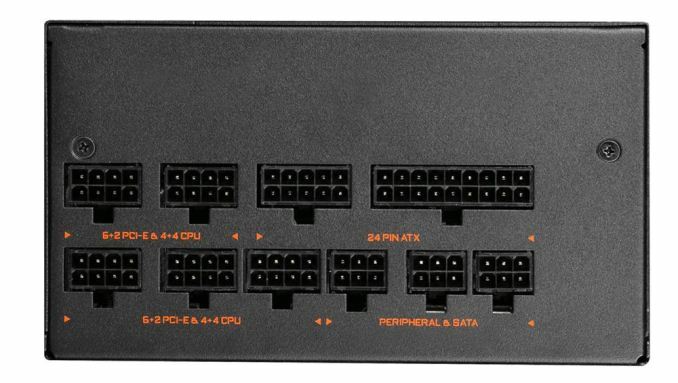 GIGABYTE says the PSUs are geared towards gaming and overclocking, particularly those using multiple-GPUs. 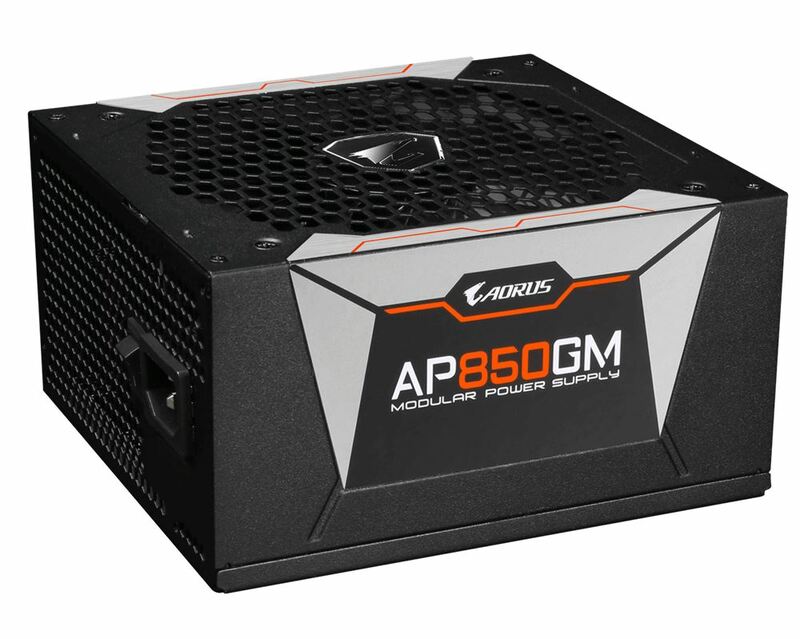 The standard ATX size chassis of the units are both black with some of the Aorus branding on two sides in grey and the AORUS orange along with the full name of the device, the AP850GM (or AP750GM). Hiding the 135mm fan and letting air in the device is a large perforated vent with the Aorus logo in the middle hiding the fan hub. The rear of the power supply has a honeycomb pattern to it and will exhaust the warm air out the back. The back also contains the plug that goes to the wall as well as a simple on/off switch. The front of the chassis has all the ports to plug in the cables on the fully modular device. Each port is labeled in orange specifying what goes where. One thing we will not see is RGB lighting as these power supplies, surprisingly, do not include any. The modular cables included are flat which should allow for better cable routing capabilities and should have enough length to reach the components in most builds. The 20+4 pin connector for the motherboard is 650mm in length while the longer of the two 4+4 pin cables for the CPU measures in at 800mm. The PCIe cables, four of them in total, measure 750mm with two of the cables sporting dual 6+2 pin connectors on one cable. Those same PCIe cables also include a capacitor at the end by the cable said to help reduce noise and ripple. 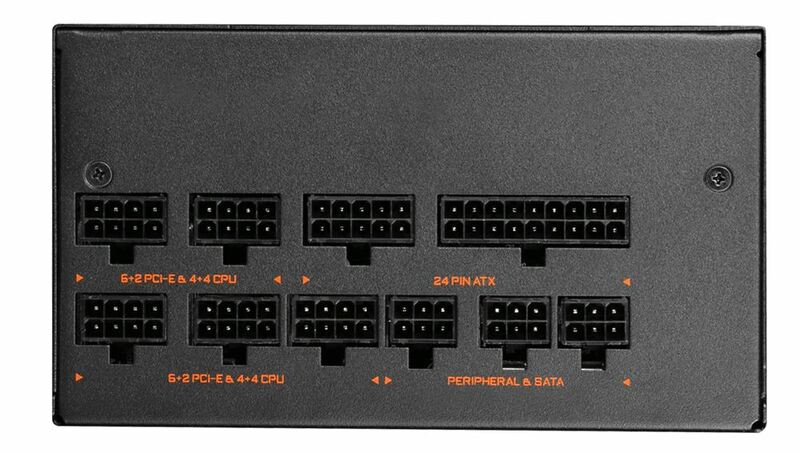 The two SATA cables with six SATA plugs also include Molex adapters at the end which can help with minimizing wires by potentially not needing to use the peripheral cable just to get Molex plugs. Internally, GIGABYTE says the P750W and P850W use a 135mm 2 ball bearing smart fan that uses a stop function. The fan speed is adjusted according to system load and will stop when the unit is idle or under low loads (20%) for quiet when needed. The 2 ball bearing system is said to provide a longer life with a durability listed at 50000 hours or 5 years. GIGABYTE also uses 100% Japanese capacitors with the life of the main capacitor listed at over 20 years (25C environment). The caps and other internals yields an 80 Plus Gold rated unit able to deliver 90% efficiency at 50% load. GIGABYTE says the OEM for these is a company named MEIC. It will be interesting to see how these fare in proper power supply tests, but seeing as how there is a 10-year warranty, GIGABYTE is standing tall behind the product. The devices include several protection designs including OCP (Over Current Protection), OTP (Over Temperature), OVP (Over Voltage), OPP (Over Power), UVP (Under Voltage), and SCP (Short Circuit) to help ensure if something does go wrong that the issue remains isolated as to not further damage other components. 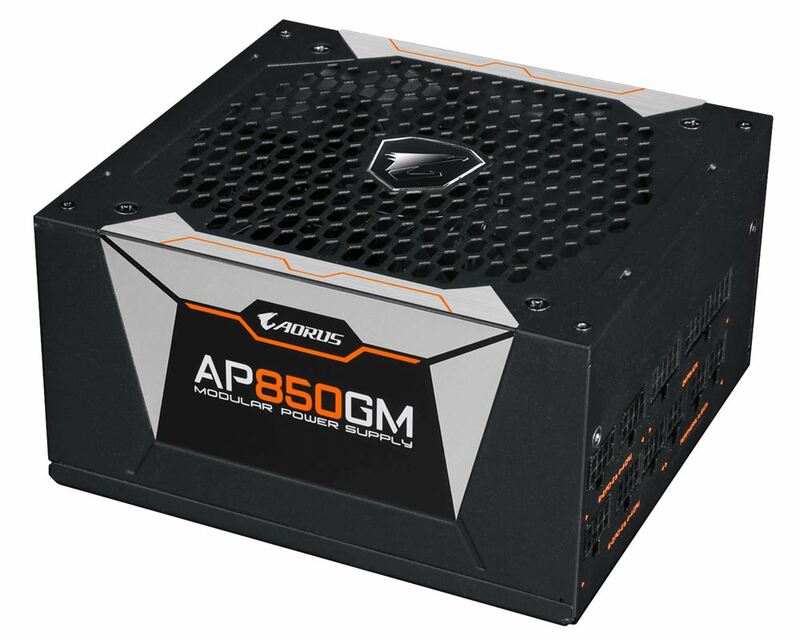 The GIGABYTE AORUS P750W and P850W both include a long 10-Year warranty (region dependent) with availability listed as “soon”. Pricing was not listed. Specifications for the 850W version is below, 750W values were not listed. Stick to SeaSonic. They make incredible power supplies, and don't dilute themselves behind overpriced gaming-branded gear. Lately been sticking to Corsair and EVGA lower budget 80+ Gold units, or even 80+ Bronze units for very low budget builds. Sometimes Seasonic branded units dip to the lower price brackets, but EVGA and Corsair are usually the two reputable brands at the lower price brackets. But when it comes to recognizing units that are still OK at the higher price brackets, it gets pretty muddy since there's a lot stuff out there at the higher wattages and higher price brackets. though the seasonic one is rated for 50c and 10 years...odd gigabyte is using a fan only rated for 1/2 the warranty period (50k hours or 5 years, though the main capacitor is rated for 20 years @25c...my revers maths say that if run at 50c then likely the fan will need to be replaced at least once prior to warranty ending though the main "cap" will be good for lifetime of the unit.